We are a custom fabrication shop. Our products have ranged from simple plasma cut artwork to complex industrial machines. We don't claim to be able to build anything, but if you can imagine it, we'll give it a shot! Please note that this website is currently under construction! Sorry for the inconvenience! We've been in business here since 2000. Since then we've welded steel, cast iron, stainless steel, aluminum, and bronze, using MIG, TIG, Stick, and gas welders. We obtained a computer controlled plasma cutter in 2012. All our design work is done using TurboCAD, in 2D or 3D as needed. We have a mechanical engineer (Georgia Tech class of 1983) on staff at all times, as well as a draughtsman, sheet metal man, and weldor. The Lincoln County Courthouse, in Star City, Arkansas, recently got a new entrance to the Sheriff's office in the lower level. We built the railings, the stairway with the landing, and the armored windows behind the stairs. 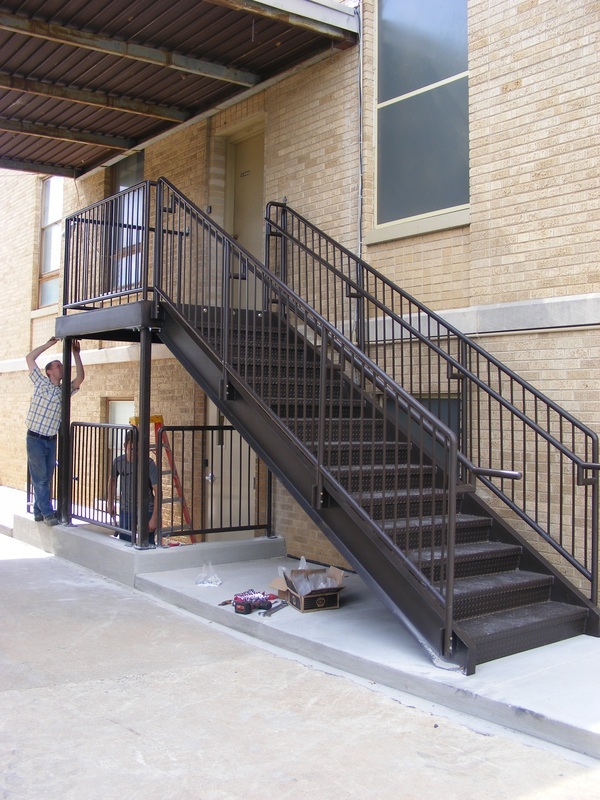 All were powder coated, the stairway Dark Architectural Bronze; the windows two-tone to keep with the architectural theme of the old courthouse. This project was completed summer 2014. 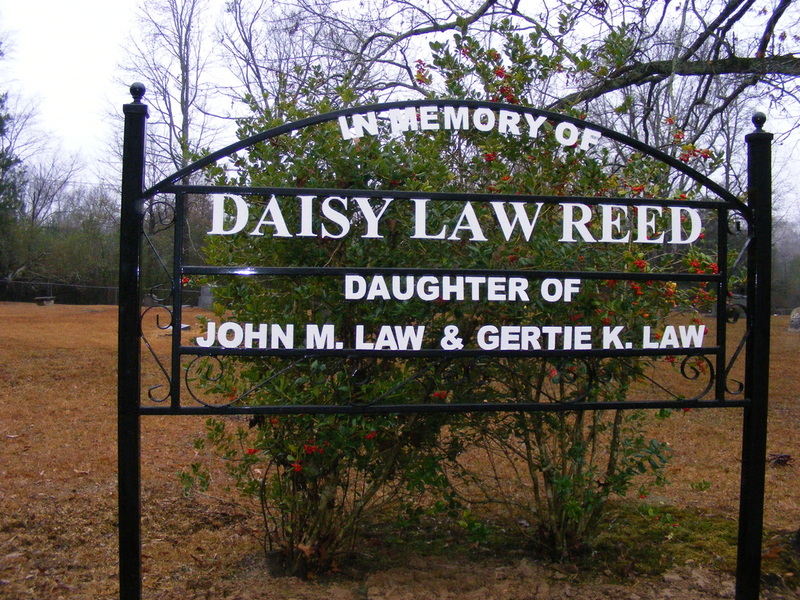 The old version of this cemetery sign was falling apart and had several bullet holes. We cut off the old sign and poured new concrete around the legs of this sign. It is powder coated semi-gloss black with gloss white lettering. Installation was late December 2014. 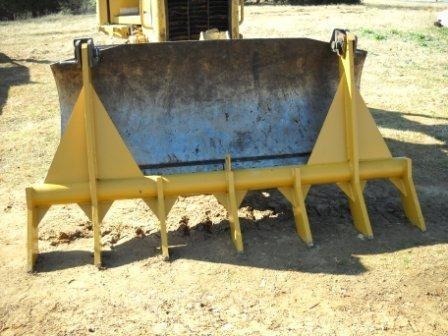 This is a rock rake for a bulldozer. The client has land to clear, and then he'll use this on brush and small trees. Completed February 2015.